Don’t worry you won’t have to move too far after the ceremony as we will be having the reception immediately following the ceremony in the rest of Orchestra Hall. 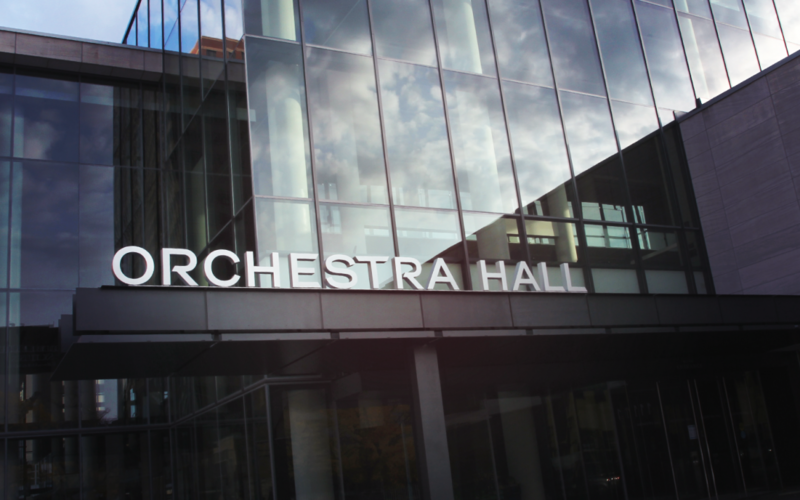 Orchestra Hall, one of Minnesota’s cultural and architectural cornerstones, opened in 1974. It underwent a major renovation in the fall of 2013 and that’s when we really fell in love with the design and space. The new grand lobby is where the dinner and reception will take place and it features 40 foot ceilings, wall-to-wall and floor-to-ceiling windows with amazing views of the Minneapolis skyline. With attached parking and dozens of hotels nearby it’s a great location and we look forward to celebrating with you!